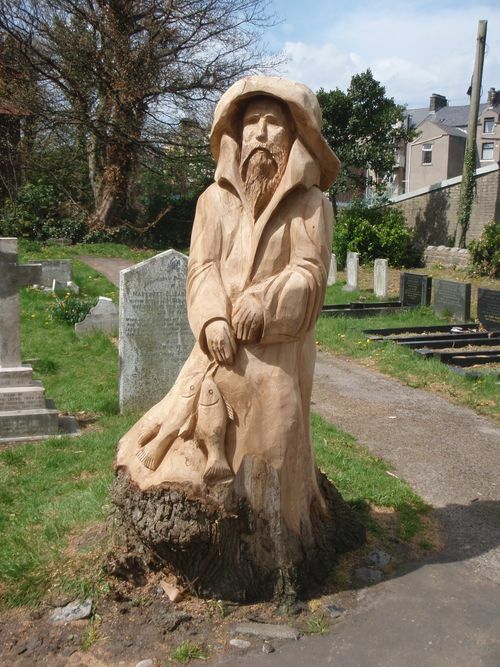 This fisherman in his sou'wester, was chainsaw sculpted in one day from a large elm stump. He stands over six feet tall. He is holding three fish - as depicted in a mural elsewhere in Morecambe. He stands opposite the 'Shrimp Lady'.